Home » Activities we enjoy/have been up to » Woodham Mortimer preschool It all adds up……. Posted by Jenny Hull on Feb 8, 2019 in Activities we enjoy/have been up to, Featured, News | Comments Off on Woodham Mortimer preschool It all adds up……. 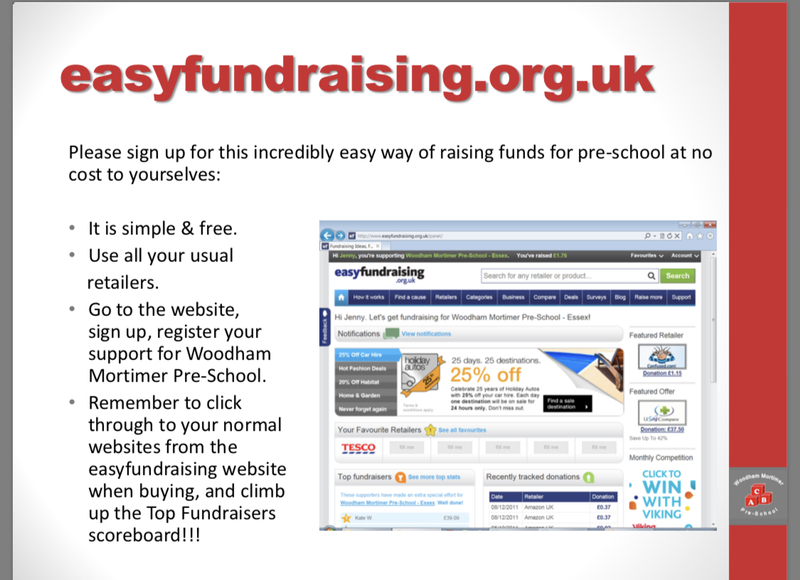 As you are well aware the Pre-School is a charity and we try and raise much needed funds in many ways. If you can help in any small way it really does all add up. Come and support our events, next one is on Saturday 23rd March, quiz night 7.30pm at Langford village hall. Tickets. £5 per person teams of 8, bring own drinks and nibbles. Tickets available from pre school. There are envelopes in the wicker basket hanging in reception for old printer cartridges, better than landfill and we make money too. 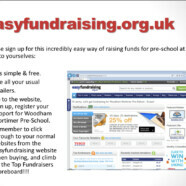 If you shop online, please consider registering at www.easyfundraising.org.ukand supporting Woodham Mortimer Pre-School- Essex. It is very easy, there really are no catches, and you could help us raise some funds. Please see attached a photo on how to do this! 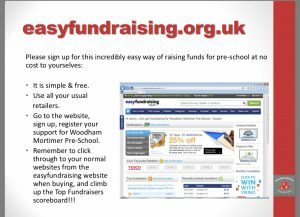 If you search for the cause, Woodham Mortimer Pre-School- Essex and select support this cause, then register, every time you shop do it through their website, it will take you to the normal shopping page and a percentage will be given to preschool. If anyone else is interested please let us know, If you could spread the word would be appreciated 😊. Thank you for your time in reading this, if everyone helps a little …it all adds up!